SAN FRANCISCO—At its public meeting on July 25, the Judicial Council will consider recommendations from its Trial Court Budget Advisory Committee on allocating funds to the trial courts for fiscal year 2013−2014. The committee of judges and court executives developed its funding recommendations at a public meeting on July 9, and is now submitting them to the Judicial Council for final approval. The proposed allocations are the first using a new methodology approved by the council at its April meeting and will be phased in over a five-year period. The methodology is based upon workload and would require shifts in base historical funding from some courts to others. The committee’s recommended allocations also use the new methodology to distribute a court’s share of the $60 million in new trial court funding that the Legislature included in this year’s budget. Per the state budget, each court is required to provide a written plan of activities by September 1, 2013, on how it plans to use the funds to maintain or increase public access to justice. The Trial Court Budget Advisory Committee’s report to the council also includes recommendations for each court’s contribution towards the statutorily required 2 percent reserve in the Trial Court Trust Fund, as well as costs related to parole revocation hearings per criminal justice realignment, court-appointed dependency counsel, and other court operations. The council will hold its public business meeting from 10:00 a.m. to 12:50 p.m. on Thursday, July 25, in the Judicial Council Conference Center, Hiram Johnson State Office Building, Third Floor, Ronald M. George State Office Complex, 455 Golden Gate Avenue in San Francisco. Funding for Parolee Reentry Court Programs: The council will consider entering into an interagency agreement with the California Department of Corrections and Rehabilitation (CDCR) that would provide $3 million in funding to support and expand existing parolee reentry courts at the Superior Courts of Alameda, Los Angeles, Santa Clara, and San Diego Counties, with the goal of reducing recidivism among the parolee population. Preview of 2013 Court Statistics Report: The council will receive a preview of the 2013 Court Statistics Report (CSR), which will provide detailed caseload information for fiscal year 2011–2012 and combine 10-year statewide summaries of superior court filings and dispositions, with similar workload indicators for the California Supreme Court and Courts of Appeal. 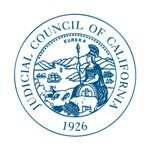 The Judicial Council publishes the report each year in compliance with Article VI, section 6 of the state Constitution, which requires the council to survey the conditions and business of the California courts. Audit Report on the Superior Court of Santa Barbara County: The council’s Advisory Committee on Financial Accountability and Efficiency for the Judicial Branch and the AOC will recommend that the council accept an audit report on the Superior Court of Santa Barbara County. Judicial Council acceptance of audit reports is the last step to finalize them before their placement on the California Courts public website. Acceptance and publication of these reports enhances accountability and provides the courts with information to minimize financial, compliance, and operational risk. Court Closures: Per statute and its normal meeting procedures, the council will receive an updated report on which trial courts have closed courtrooms or clerks’ offices or reduced clerks’ office hours because of budget reductions. This is the 20th report to date listing the latest court notices received by the council under this statutory requirement. Since the last council report, the Superior Courts of Fresno, Monterey, Riverside, Tehama, and Trinity Counties have issued new notices of closures or reductions.